Media an artifacts were embedded into the wall, to add to the experience. 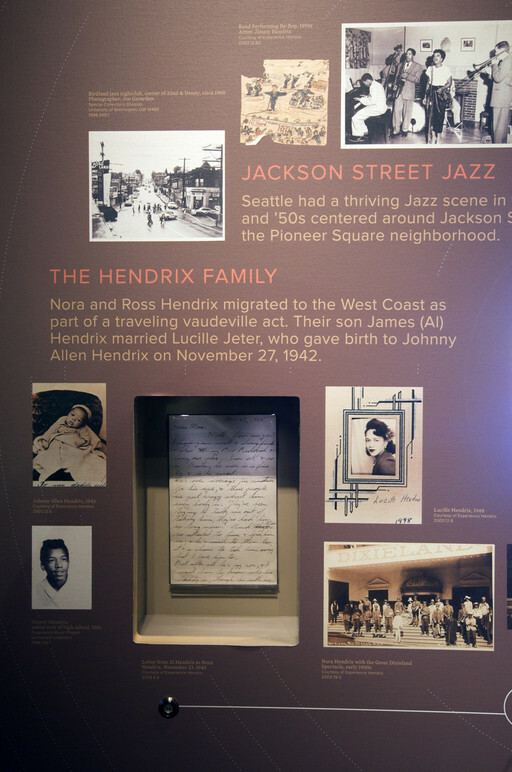 The Hendrix Life Map is a 26-foot wide interactive wall that acts as the central storytelling component for the exhibit “Jimi Hendrix: An Evolution of Sound” at EMP Museum in Seattle. 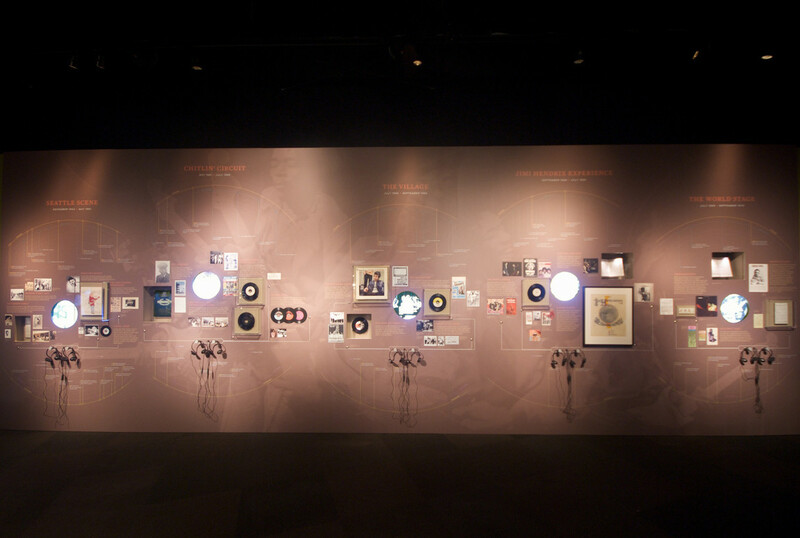 The installation tracks the influences and inspirations of Jimi’s development as an artist, using embedded media screens, button activated audio, a timeline, and more. 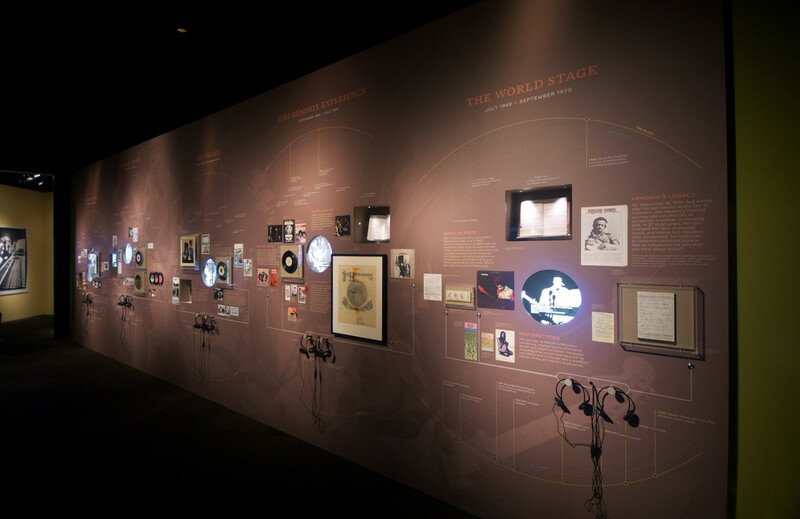 Important artifacts were protected and presented in wall insets with light-up audio buttons, integrated exhibit images, graphics, and text. 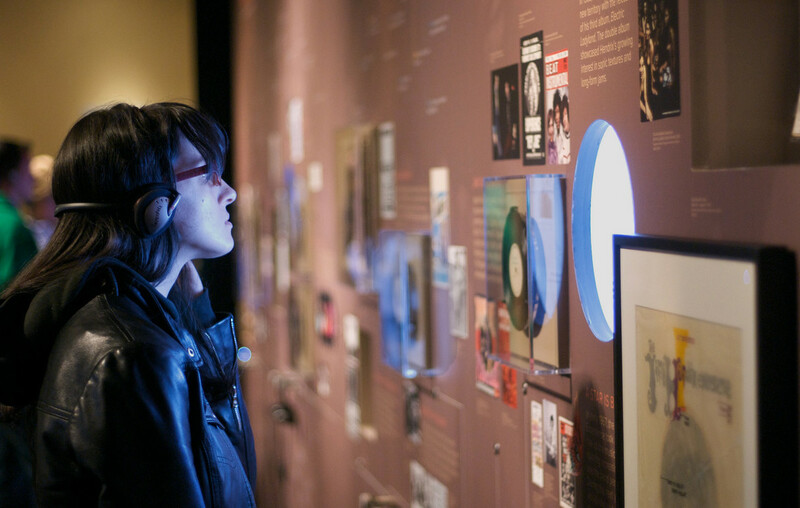 Backed by a massive collage of images from a live Band of Gypsys performance, each primary content section overlaps the next to show how they all collectively influenced the Jimi Hendrix sound.